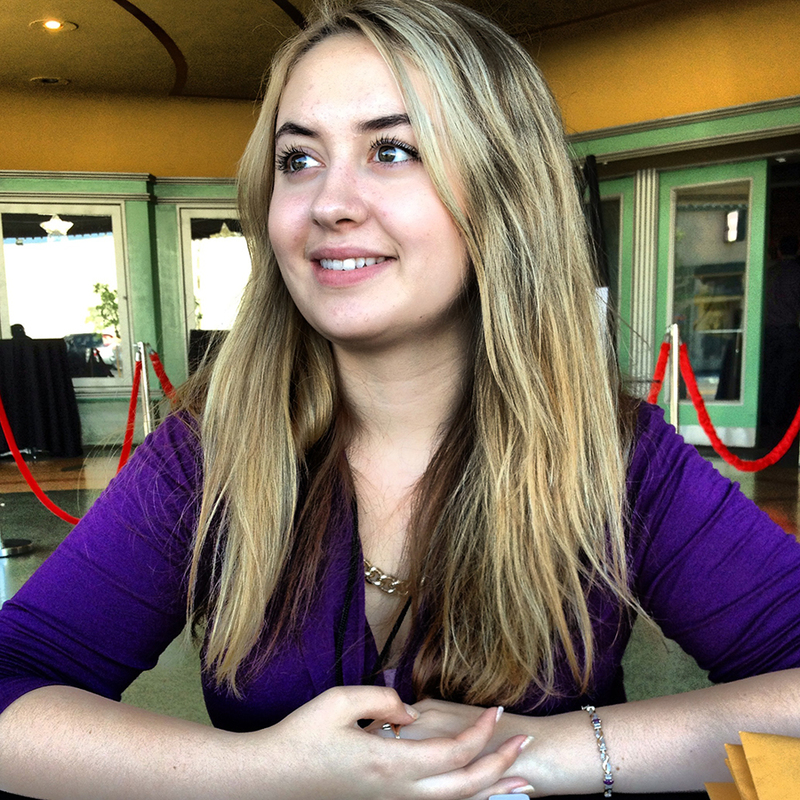 Olga Verkhotina was our first Filmworks marketing intern, and she continues to volunteer by helping with development and producing content for our blog. What’s your favorite part of exploring Los Angeles? How long have you volunteered with Filmworks, and how did you get involved? In November, you made photos of “The Rock” at LACMA for a promo video about “Levitated Mass.” What was the experience like, seeing the 340-ton boulder in person? What’s your favorite film that you’ve seen with us at the Tower Theatre? Now that you live in Los Angeles, what do you miss about Filmworks? What’s one of your favorite movies of all time, and why? Filmworks thanks all of our November 2014 volunteers: Avigdar Adams, Sarah Elizabeth Barker, Cleo Bauer, Lorna Bonyhadi, Alma Fabiola, Richard Flores, Megan Ginise, Karen Hammer, Rebecca Horwitz, Carl Johnsen, Kathyrn Johnsen, Haley Liddell, Monica Marks-Rea, Kristy Page, Dominic Papagni, Jesus Reyes, Susan Rogers, Richard Stone, Arleen Thukral, Colby Tibbet, Lorraine Tomerlin, Kristin Torres, Michael Travels, Olga Verkhotina, Suzanne Watkins.